New data show Scappoose makes up the lion's share of the county's population growth. Certified population estimates formulated by Portland State University show Columbia County's population grew by an estimated 555 people, or 1.1 percent, since 2017. The certified estimates were released by PSU on Dec. 15. Each year, the university uses data provided by government entities and previous Census counts, combined with other public records, to formulate population changes throughout the state. This year's results indicate the county is growing at nearly the same rate as the year prior, with the largest change happening in Scappoose. According to the numbers, Scappoose grew by 325 people from 2017 to 2018, landing at a population of 7,200. St. Helens and Columbia City had no population increase over the prior year, while Rainier and Clatskanie posted negligible changes of 15 and five people, respectively. Over the past five years, the county has seen an influx of 2,050 people, data comparisons from 2013 to 2018 show. 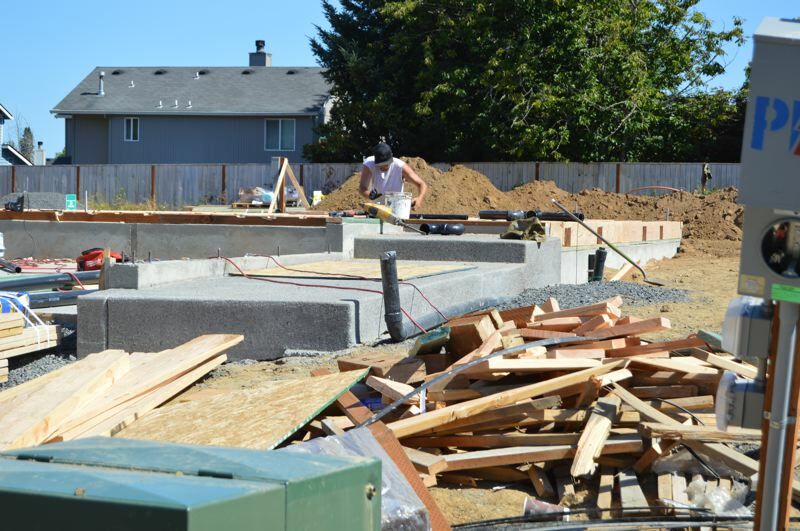 The growth in Scappoose comes on the heels of a burgeoning advanced manufacturing center landing in the city, and new multi-family housing being built. The city has also seen the addition of more than 150 new single-family housing units over the last six years. In January, Scappoose adopted a housing needs analysis conducted by ECONorthwest. The study indicated that while the city is growing, it may run out of room for housing. After adding 700 new dwelling units since the year 2000, only 25 percent of land in the city's urban growth boundary is suitable for residential development, according to ECONorthwest. "Since 2000, Scappoose added nearly 1,800 residents, accounting for one-quarter of the growth in Columbia County over that period," the report states. Like other areas in the state, the city likely has a shortage of affordable housing. The housing needs analysis cites a shift toward single-family homes and a "limited supply of rental housing at prices that are affordable to moderate and low income households." While population figures are key indicators for cities, countywide it's just one piece of the puzzle, says Karen Kane, Columbia County's spokeswoman. "The population estimates are simply one measure of County growth: people," Kane notes. "The data can be used as part of grant applications for growth related projects. The City data is used for justification (or not) of urban growth boundary expansion applications. The federal government can use inter-Census estimates for allocation of federal resources to cities and counties." PSU compiles its numbers using a variety of sources and a formulation that calculates net migration and natural increase using U.S. Census counts.